Today a review but not just any review , no! I am going to give a short review about a film. Me before you. 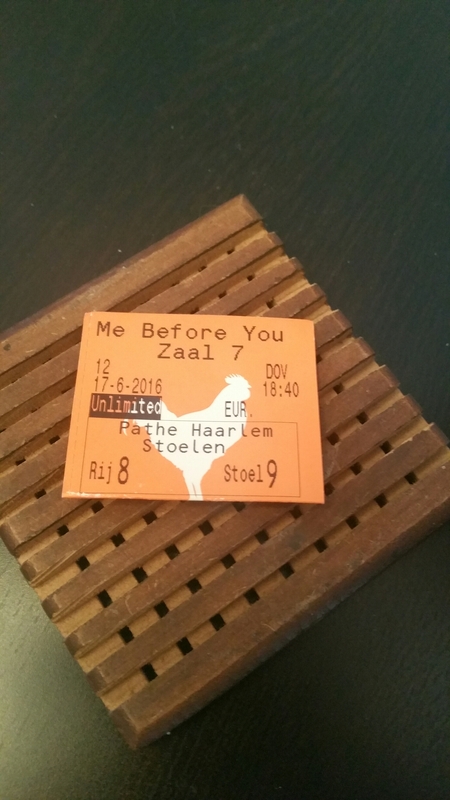 This week was the first premier week of Me before you , and I went yesterday ( Friday) to see it. Boy did I laugh at the guys who were mandatory dragged to the films by their girlfriends and wifes. My first thoughts when I thirst saw the trailer was that I was not going to love it as much as I did. But boy was I wrong! Claflin show real chemistry as Lou and Will in Me before you and show that it is important to live your life to the fullest! Overal I would definitely recommend this film. Is it more a chickflick? Yes it is! Did I hear the occasional sniffel. Yes I did! Did I let a little tear , oops I did! But I heared a lot of laughter as well and that’s important. Aswell from the men! The time flew by and there was never a dull moment! Overall money well spent. I hope you all enjoyed this post. Untill next post.